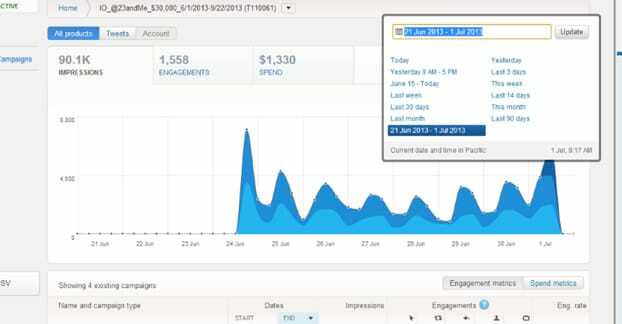 How Does Twitter Ads Compare to Facebook and Instagram? 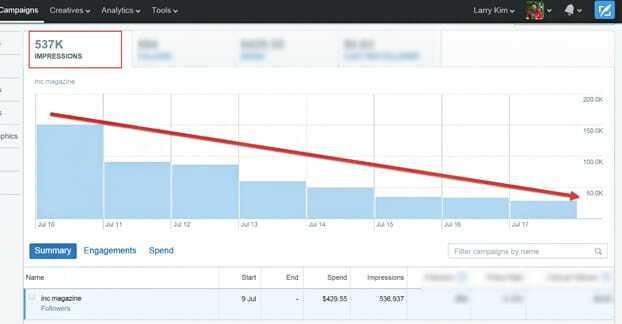 Blog > Twitter > How Does Twitter Ads Compare to Facebook and Instagram? I see a lot of marketers comparing the different social media ad offerings, as if they’re so limited in budget and scope that they can only choose one. Frankly, this is a pretty bad outlook to take; it doesn’t take a huge budget to use any of the three platforms in the title here, or really any of the others. As long as you have the right kind of framework in place to convert the traffic you do get, you can cycle the ads upon themselves and reinvest the profits to expand your ad budget. Of course, I could write a million words about how you can use all three platforms simultaneously and chances are it’d all fall on deaf ears. Once someone gets into their head that they have to make a decision, they’re more than likely going to ignore any evidence that “all of the above” is a valid decision. So, I will discuss each of them individually and help you decide which one you want to start with, before you expand into the rest. One important consideration before you even look at the details is who you’ll be reaching. Who is your target audience, and who are you trying to find on these social media platforms? If your target audience isn’t there, all the money in the world won’t get you valid returns. Facebook is both the easiest and the hardest to analyze for audience demographics, simply because there’s so much of them. As Investopedia put it, Earth is Facebook’s target market. 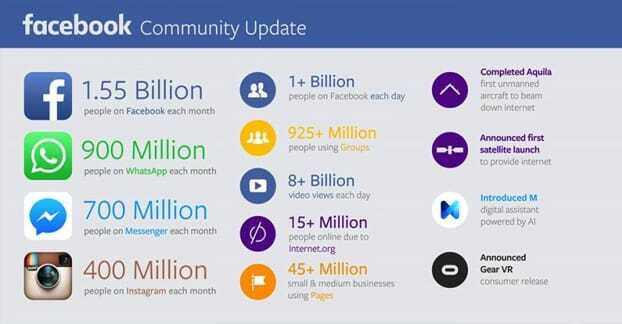 As of March 2016, Facebook has 1.09 billion-with-a-B DAILY active users on average. The monthly active number is 1.65 billion. 990 million of the daily active users access the site via mobile devices as well, so you have a massive number of people you can reach with hyper-local targeting or mobile-focused ads. 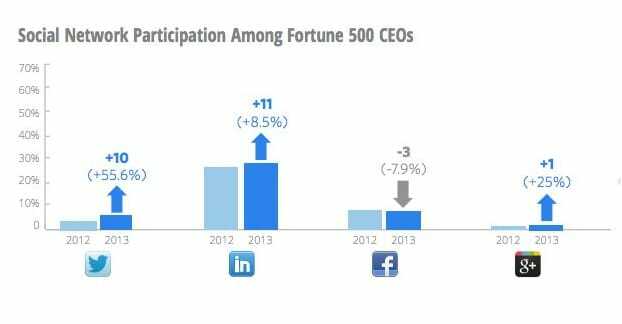 The majority of Facebook’s usership is over the age of 25, but that doesn’t mean much. If you’re a small business looking to reach people ages 18-25 you still have over 50 million possible targets. It’s impossible to say there’s a demographic not represented on Facebook. Even the smallest market share is still millions of people. You’d have to start digging into strange demographics like “people who have visited Antarctica” or “natives of the Australian bush” for a group that’s too small to target. Twitter, meanwhile, is a much smaller but still enormous site. They have close to 310 million active users each month, which is huge, even if it is only a sixth of what Facebook has on hand. Twitter users tend to use the site to keep up with news and social movements, and it’s been a huge hub for political activism around the world. It’s also popular for cultural and business influencers, with many CEOs and entrepreneurs using the site. It’s popular with people between the ages of 30 and 59. It’s particularly a great platform for urban and suburban users, though rural users tend to be a bit more thin on the ground. Interestingly, the average incomes and education levels of the people on Twitter tend to be higher than those on Facebook or Instagram. If you’re trying to market to the more affluent among us, Twitter is your place. Instagram is almost the opposite; it’s highly focused on mobile users, and of those mobile users, it’s incredibly popular amongst younger people. The average age has slowly been rising, both as people grow older and as businesses adopt it, but it’s still over 50% dominated by people between the ages of 18 and 29. Estimates indicate that over half of all American teenagers and early 20-somethings are using Instagram. Now, since Instagram is a mobile-centric platform and it tends to be best used by people with glamorous lifestyles, it’s proved to be highly popular amongst youth with higher incomes. It also started life as a primarily female-dominated platform, but has expanded to be a more or less 50-50 split among genders. 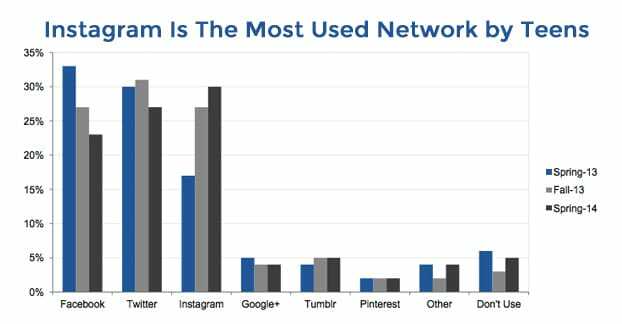 Based on these statistics alone, you should be using Facebook simply to reach the largest number of people. What throws a wrench into the works? Well, let’s take a look at how much it will actually cost to reach people on each of these platforms, and what sort of engagement you get when you pay for it. Facebook has the most robust list of possible options, as you might expect. In fact, their ads system is amazingly complex, giving you a ton of options but also a ton of possible pitfalls. More on that later, though. 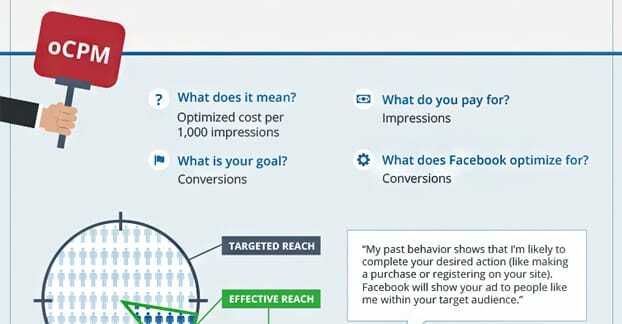 Facebook has a stated minimum of $1 per day for ads, regardless of how much or little each individual click costs. If you have penny clicks, you’ll get 100 of them per day at the minimum budget level. 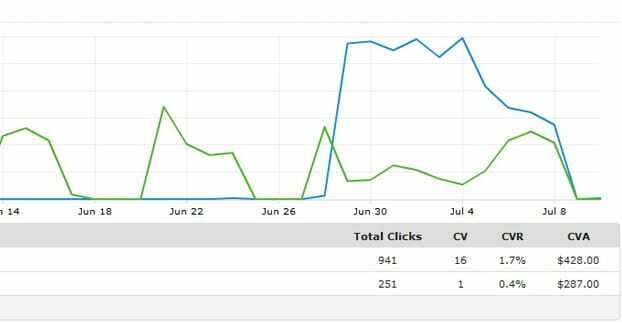 If you have $1.50 clicks, you’re not going to get one every second day, which means you’re doing something wrong. Facebook has two basic bidding styles, CPC and OCPM. CPC is, of course, cost per click, though it’s actually more varied than that within Facebook itself. You can do CPA as well, which is a variation, and stands for cost per action. Rather than a click to your website being the end, you can pay for actions like profile follows, opt-in fills, or conversions. The harder the action is to accomplish, the more expensive each one will be. Meanwhile, CPM is the pay per view model and tends to be very cheap. OCPM is optimized cost per mille, and is still very cheap, but also optimizes your views to be from the people most likely to be interested, while still being within your targeting. It’s Facebook trying to make the most of every penny you invest, so you have an incentive to invest more pennies. 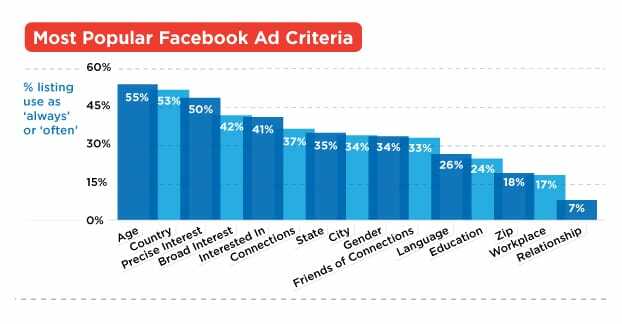 Facebook ads will vary in cost quite widely, depending primarily on three factors. The first is your targeting; who are you trying to reach and what is the competition for their attention? The second is your ad quality score; how good your ads are at attracting people and how well they match what you’re actually offering. The third is your business niche; some industries are simply more expensive than others. Wordstream has a good infographic about it here, though their data comes from AdWords. Rest assured it’s pretty well mirrored on Facebook. The bottom line, if you’re perfectly average, is that you’re going to be spending around 25-30 cents per click, and you’re going to have a click-through rate of around 1.5%. You can take about a thousand different steps to improve those metrics, though, so consider that a baseline average. By contrast, Twitter is a lot less varied and a lot less robust, but that stands to reason. They don’t have a bunch of different ad slots, it’s all just variations on promoted tweets. They do have three models; cost per view, cost per click, and cost per engagement. On average, a thousand views on Twitter costs anywhere from $9 to $11. Clicks run around 25 to 30 cents each, and engagement is about the same, if a cent or two cheaper. One thing to note, though, is that while Facebook prices have remained around the same for a year or so, Twitter’s have been slowly rising. This is a side effect of more and more marketers taking advantage of the site. Speaking of an increased presence of marketers, Instagram has been skyrocketing ever since a study showed that engagement rates on the network were huge in comparison to other social networks. Instagram is owned by Facebook, and while the audiences aren’t merged, you do get to take advantage of a lot of the advanced features Facebook brings to the table. Pricing per click on Instagram depends on whether you’re sponsoring posts or promoting videos. Sponsored posts are cheaper, around 15 cents per click. Views are around $3 to $5 per thousand. Videos are about twice both of those metrics, and rising from month to month. Back to Facebook, we can take a look at some more high-level pros and cons. Facebook has a massive audience, but reach is down, due to the saturation and the overall jadedness of the audience. Their ads system is very complex, with all sorts of different targeting options, bid types, and rules for content. It’s a labyrinth to navigate, and there’s even more thrown in if you decide to use the Power Editor for additional features. If you’re not working with an experienced marketer or following some detailed, up to date guides, you’re going to be running a bit of a risk. Facebook has a lot of potential pitfalls. They will give you a few passive warnings if you’re opening yourself up to too large an audience to be effective, but they’ll happily take your money and show your ads to the people you choose, even if they know better and know you won’t get any conversions. It’s very easy to dump a budget into ads that won’t do anything, and never quite realize why they aren’t working. On the plus side, you always have a target audience, and that audience is in the tens or hundreds of millions if you want it to be. You can get very precise with targeting, down to education level, purchasing history, associations with other brands, and a lot more. Twitter ads are better in general because they’re more seamlessly merged with the timeline. They can show up in both feeds and in search, and they’re only flagged with a simple sponsored label. They don’t run sidebars, disruptive ads or other interstitials. Twitter ads are also fully functional as tweets; they can be retweeted, they can be liked, they can be shared, and any organic engagement on the tweet is free. On the other hand, Twitter ad targeting is noticeably slimmer than what Facebook provides. If you’re using to having a ton of options, you won’t get them from Twitter. This is partially because so many people don’t post their real information on the site, and partially because Twitter just doesn’t have the resources to gather than much information and present it for the user of the marketers on the site. Twitter also has a rather low engagement rate for ads, simply because they can be lost or glossed over in the crush of content. There’s so much going on at any given time that the exposure time for an ad is very low, and the chances that a user decides to engage with your ad rather than any of a thousand other tweets is slim. As for Instagram, I already mentioned that it’s owned and operated by Facebook, so you get a lot of the targeting information and systems that come with Facebook association. There’s a ton of information there, and while it’s not as robust as Facebook, it’s better than Twitter. Ads are very visible on Instagram, which is a good and a bad thing. Gorgeous ads can be given a ton of prevalence and will get a lot of engagement, but only if you’re good at targeting and making them relevant. The problem is, a ton of marketers have invaded the side with low quality ads, which has made them much less attractive overall. Possibly the biggest flaw with Instagram ads is that they aren’t guaranteed to be available. It’s somewhat surprising, but the system is new enough that it hasn’t been rolled out to everyone just yet. If you don’t have it, all you can do is wait. Instagram is also one of the few platforms with a very limited API. If you’re using a third party system to manage your ads, you won’t be able to do it with Instagram. They restrict the ability of anyone to post through the API; you have to log in through the actual, official mobile app in order to create posts, and that includes ads. All things considered, I would 100% go with Facebook and learn the ropes. It’s a little bit like being thrown into the deep end, but once you come out the other side, you’re much better for it. Then you can take what you’ve learned and expand it to the other sites. 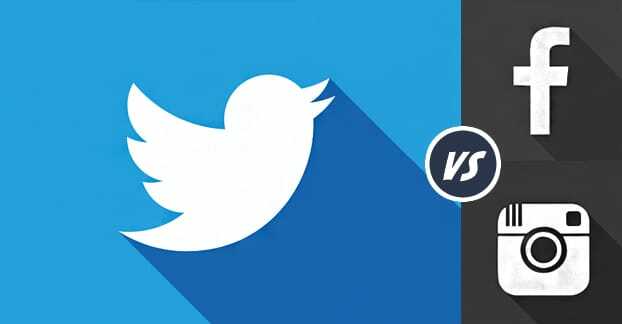 Is Twitter Better Than Facebook for Small Business?